Looking for a perfect way to unwind after a long day of myrtle beach golf? 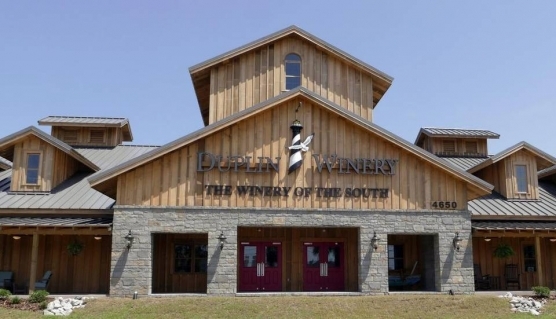 Uncork the sweeter side of Myrtle Beach at Duplin Winery, makers of America’s favorite Muscadine wine. Kick back with a glass of something cool, sweet and easy, or gather some friends for a wine tasting. At our North Myrtle Beach location our staff is ready to educate and entertain you on the winemaking method while you enjoy a delicious tastings. Enjoy a fun night after your Myrtle Beach golf package.